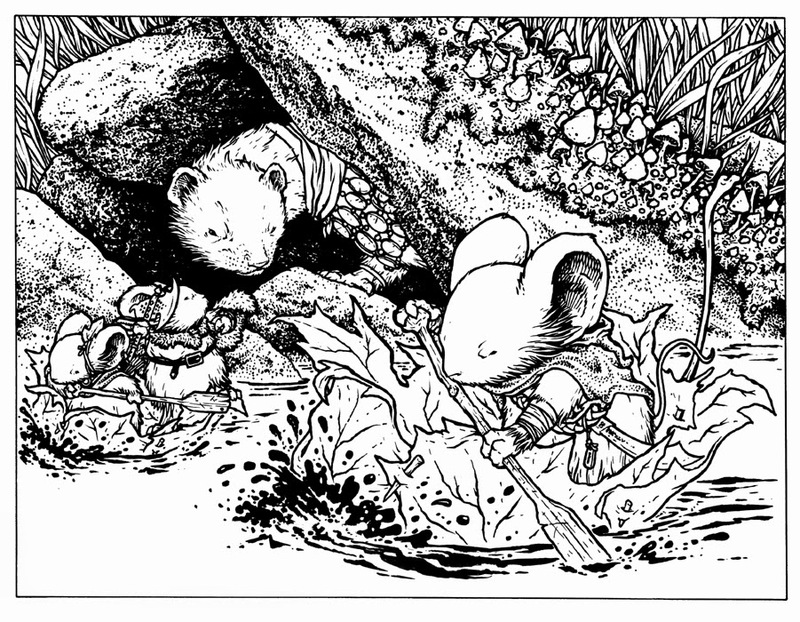 With the 2nd Edition of the Mouse Guard RPG coming, I created new art not only for the Hardcover Rulebook, but also for the new Boxed Set. This boxed set (like the last one) will contain the rulebook in softcover, a GM screen, Dice, Cards, Character Sheets, a map, and a supplement book. 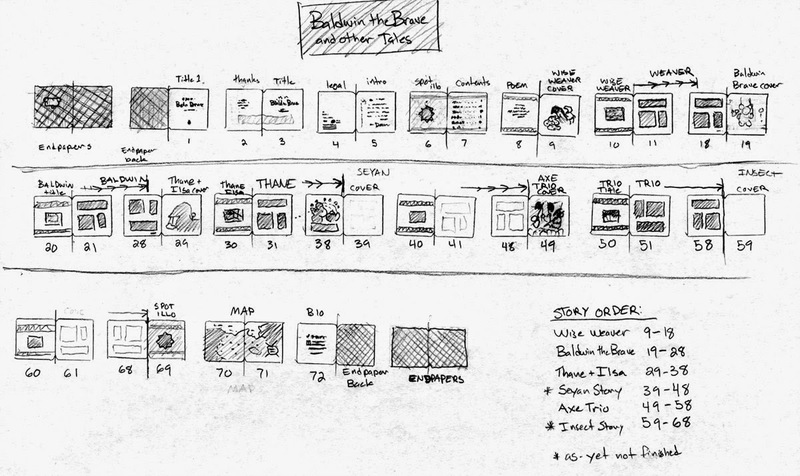 For this week's blogpost I'm showing my process for creating the artwork for the 2nd Edition Boxed Set box. 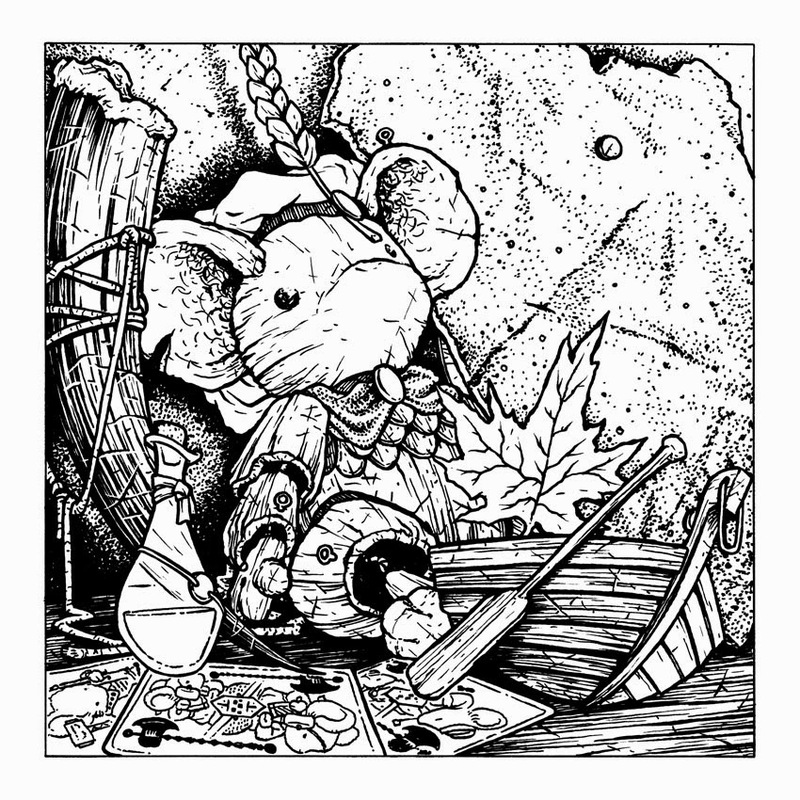 I wanted this new art to catch up with the three mice show on the original boxed set artwork. Having them only watched by a predator as they do some non-fighting task seemed like a fun way to offset the new heat-of-battle themed hardcover art. 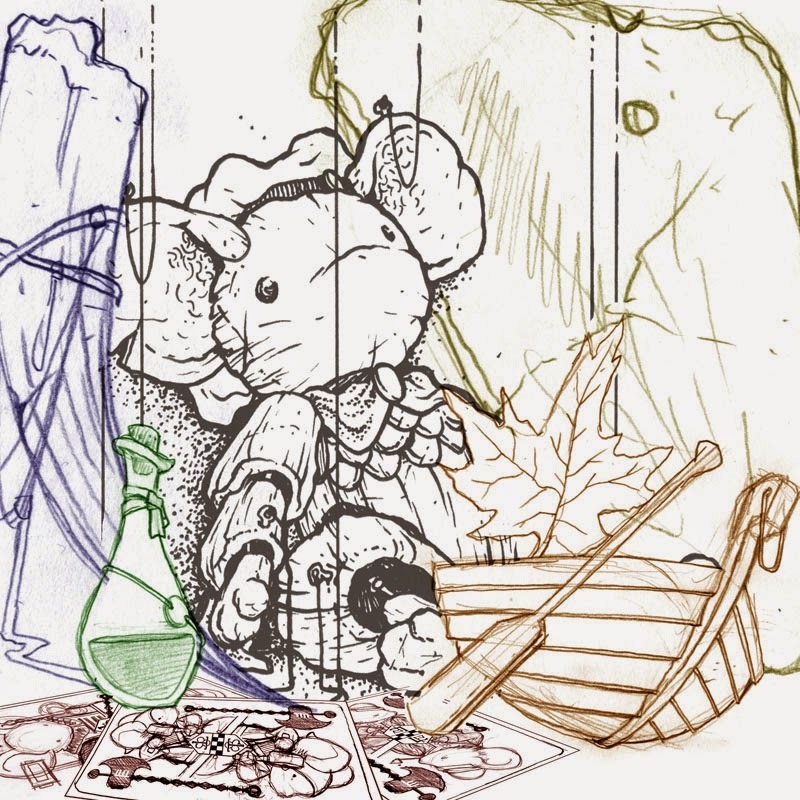 I opted for the fan-favorite leaf-boat (below I describe more about the boat model I made and used for this piece) I sketched the different mice and the weasel separately in my sketchbook and then scanned them, tinted them, and reassembled them into this composite composition. Because I needed a leaf boat that was more detailed than the one Sadie paddles in to Calogero (Fall 1152), I made a model. I found two leaf images online and printed them out, then mirrored them and did it again. 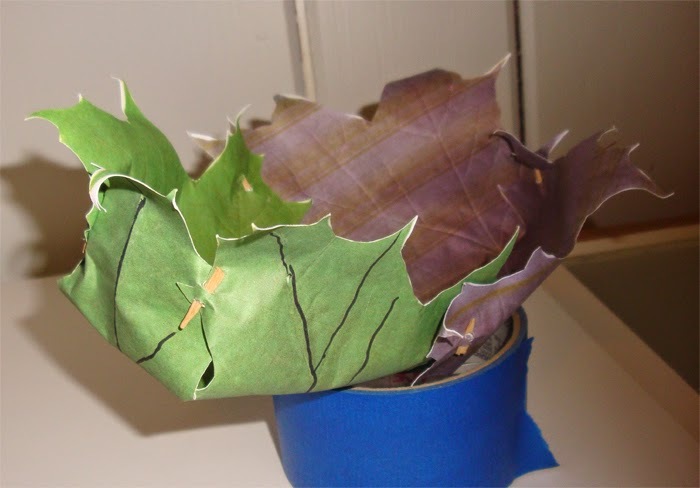 I glued the mirrored leaves together so each were 2 paper layers thick and printed on both sides. Using little toothpick sized scraps of wood, I pinned together a leaf boat shape that looked plausible and aesthetically pleasing. I inked the art on Strathmore 300 series bristol with Copic Multiliners (the 0.3 & 0.7 nibs) and a bit of ink and brush for the water. Inking on a light table I was able to use a printout of my digital composite above as a guide instead of re-penciling the piece on bristol. 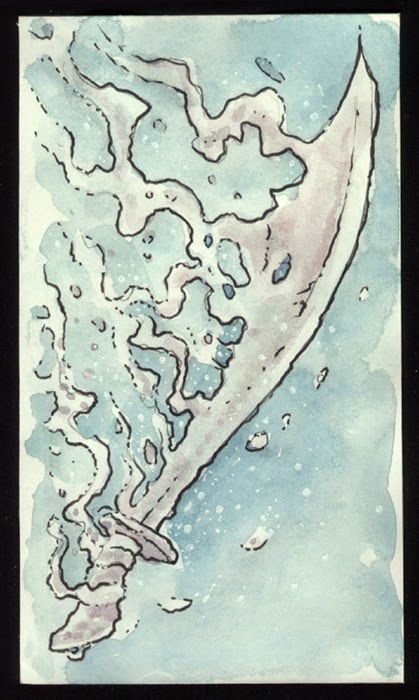 I left a lot of the water open for color and pushed the texture back to the background. Creating groupings of texture like this causes contrast which can help push the foreground away from the background. I scanned the inked artwork and started flatting the shapes in with really awful colors. 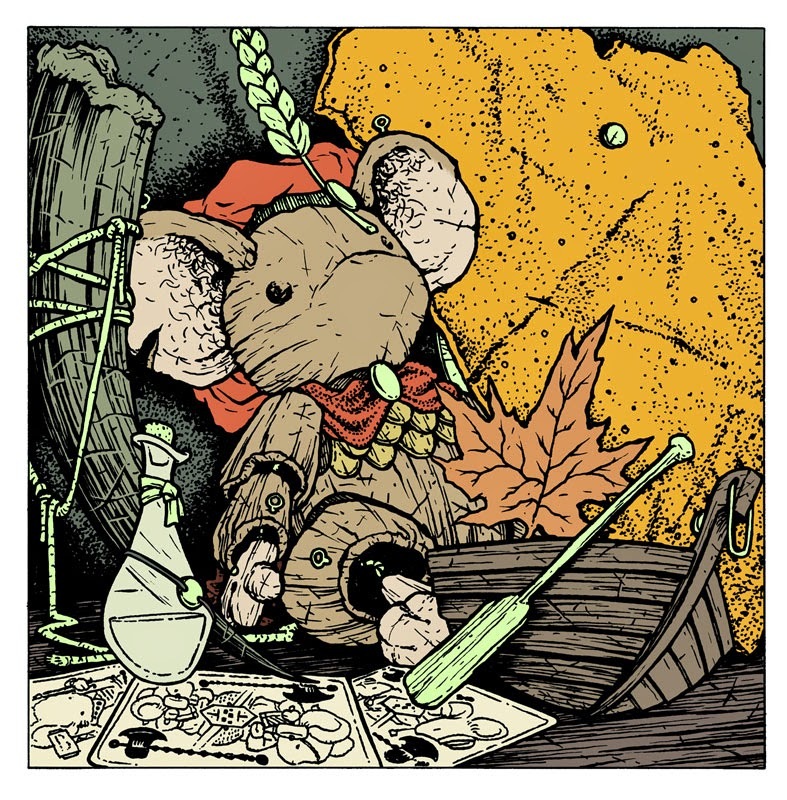 Other than using the original boxed set art as a color guide for the mice, I had no idea what my overall palate would be for this piece, but when flatting, you don't really need to know...you just establish that the fur is a different color than the cloak, which is different from the leaf boat, etc. I also created several color holds at this stage (areas where I want the inkwork to be a color instead of black) some of these were for details or water, but others were used to push the background and the foreground even further apart. Here again is the final rendered colors for the piece. 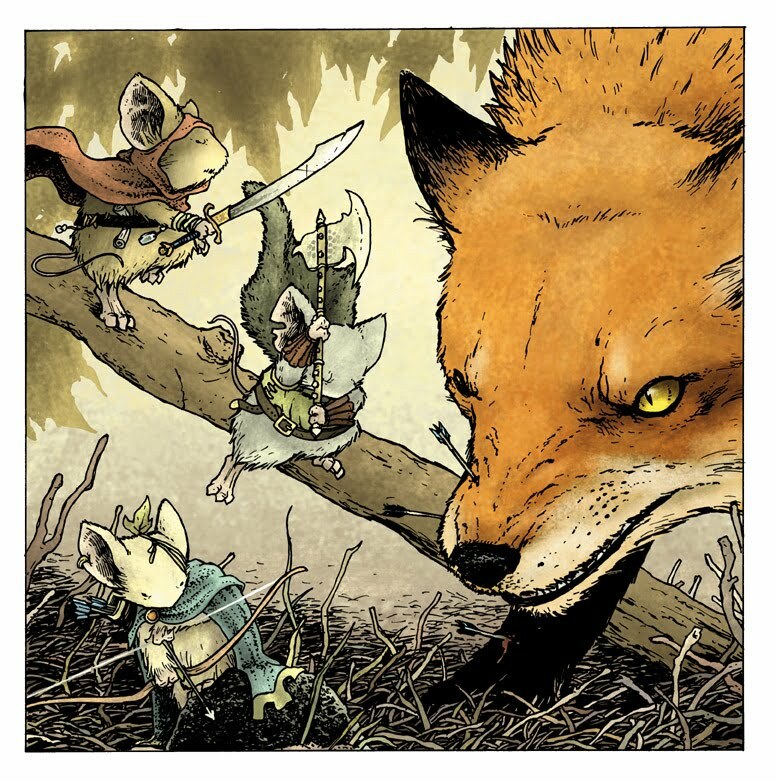 Luke, Archaia, and I do not have a firm date for the Mouse Guard RPG Second Edition Boxed set, but the materials are being final-edited and proofed currently. We will update when we can. 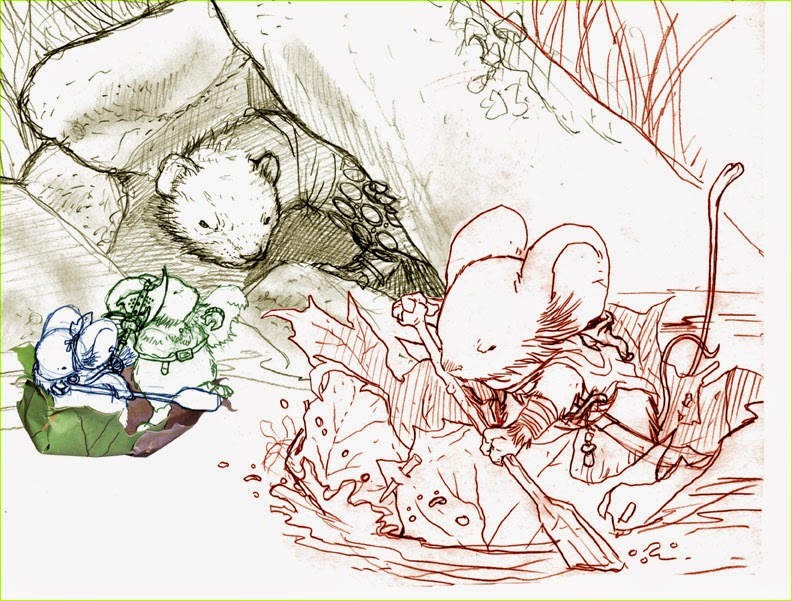 Luke Crane teased on his Burning Wheel Forum that one of the reasons we've been coy about a re-release for the Mouse Guard RPG (which has been out of print for a few years) is that we've been working on a SECOND EDITION of the game!!! 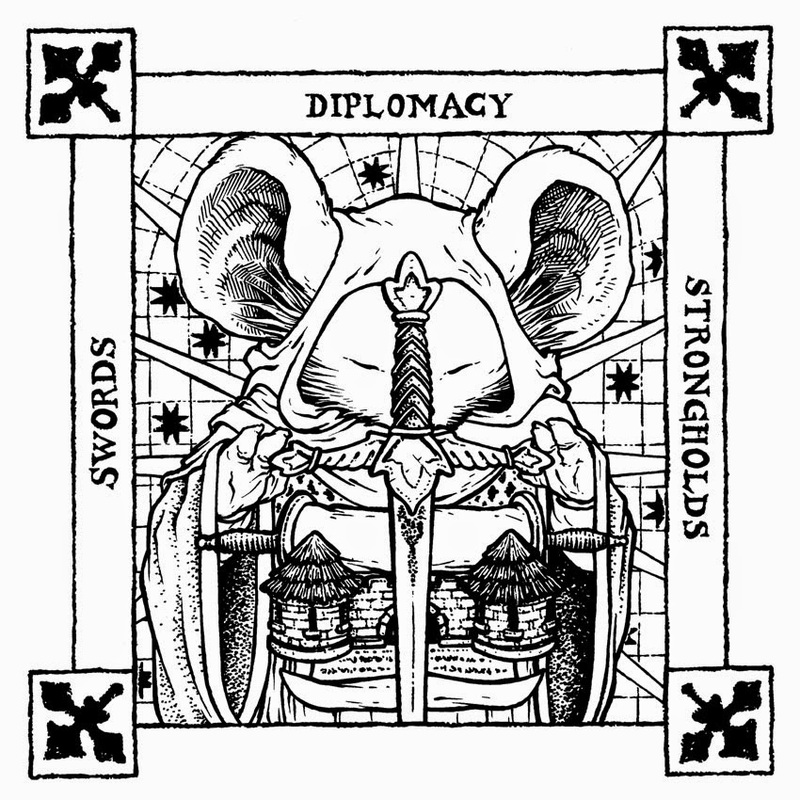 The original RPG cover featured a huge lineup of various mice (52 of them) to inspire the players with creating their own mice. For the 2nd Ed. I wanted to play up a bit more of the classic D&D covers with a group (a mouse patrol in this case) in a grueling battle with a dragon (or a snake here). 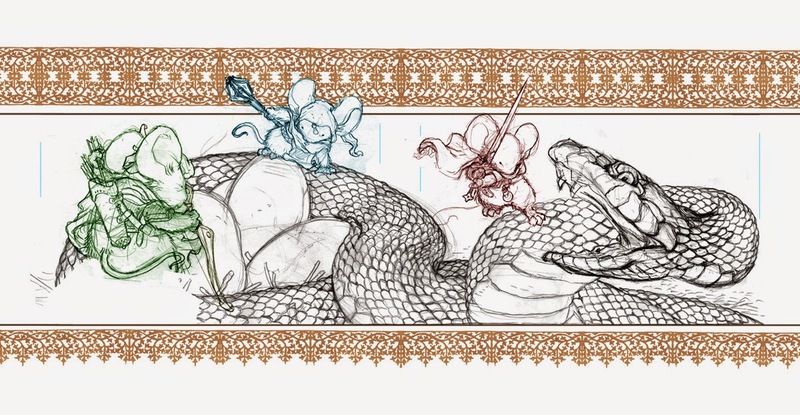 The mice and snake were all sketched out separately and then assembled in Photoshop with a border I found online. That composite piece was printed out (over the course of several sheets of copy paper, and then taped together) and placed behind a sheet of Strathmore 300 series Bristol on a light table. As I inked this piece (over 23" long) I tweeted pictures A, B, C. I focused on making sure the overall silhouette of each mouse read well in the overall chaos of snake scales and border design. 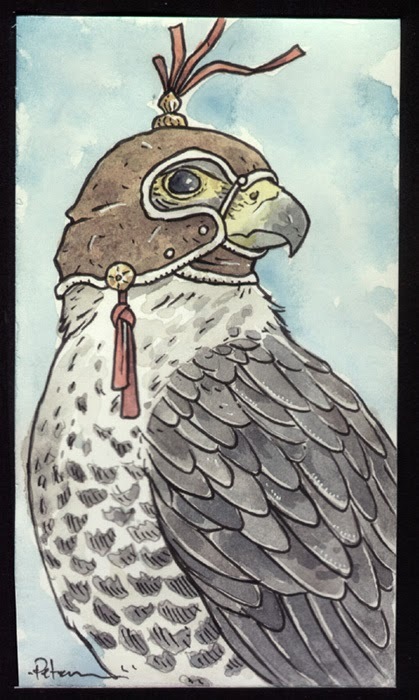 I also took the time to ink that border by hand instead of using the digital border image I found so that I could hand weather it and give it flaws and character, also so that the original art looked complete. The inks were scanned (in several parts and re-assembled) so I could begin flatting in color for this cover. I went with a reddish letterbox color to get the idea of this being about a fierce battle. The mouse fur and cloak colors are a variation on what seems to work in the comics: brown fur-red cloak, grey fur-blue cloak, red fur-green cloak. For the final render I made a few color adjustments as I added shadows and highlights and textures with the dodge and burn tools. 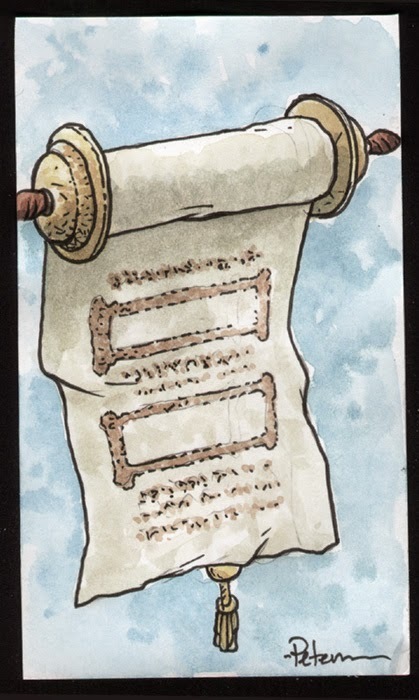 I added a color hold to the inked border design to make it blend with the red and make it seem more old-world. 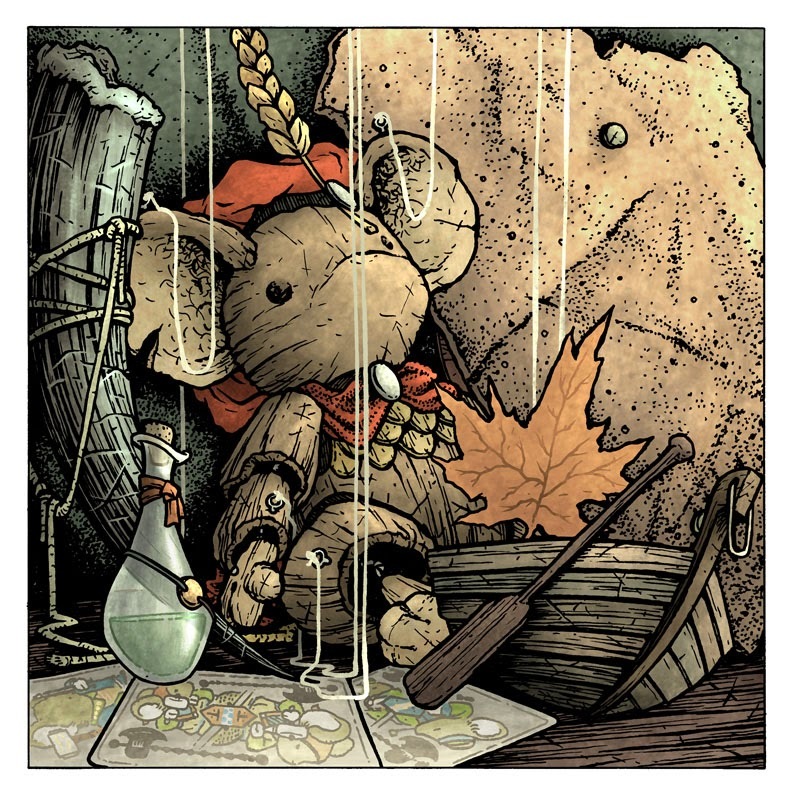 Luke, Archaia, and I do not have a firm date for the Mouse Guard RPG Second Edition, but the materials are being final-edited and proofed currently. We will update when we can. 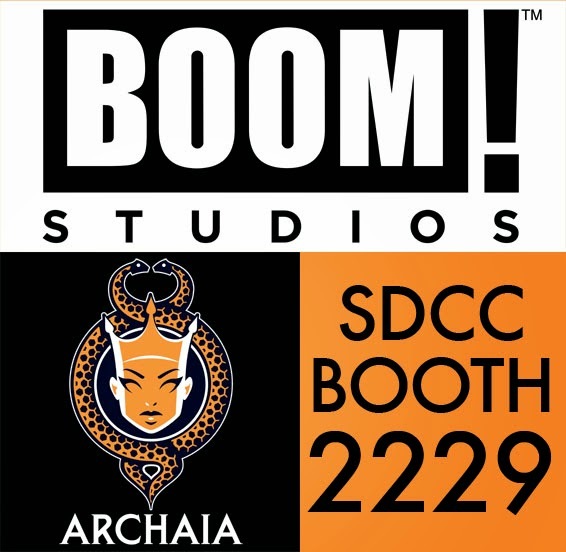 See you in San Diego, or please excuse any lag in email/phone replies due to this convention. I'll be in Artist Alley for most of the 5 days of the convention. 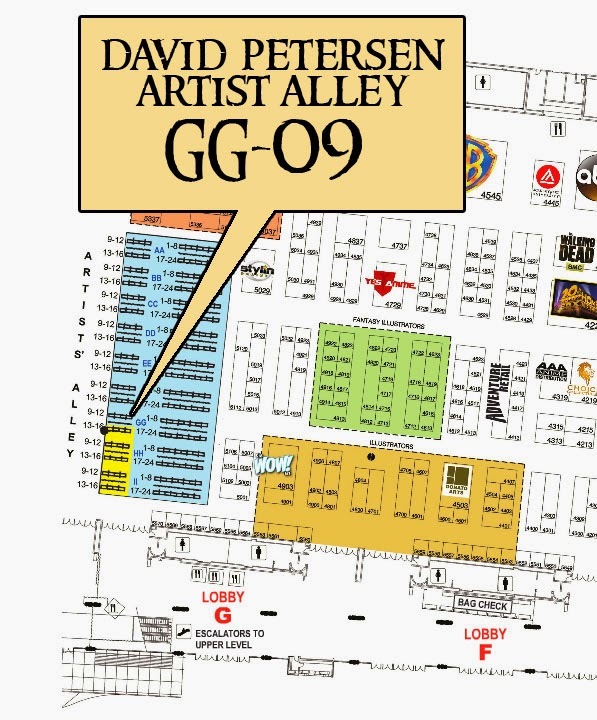 Artist Alley is in Hall G of the convention center and my Table is GG-09. Other than some signings (see below), a bit of browsing, and a few panels (see below), I should be at my table. 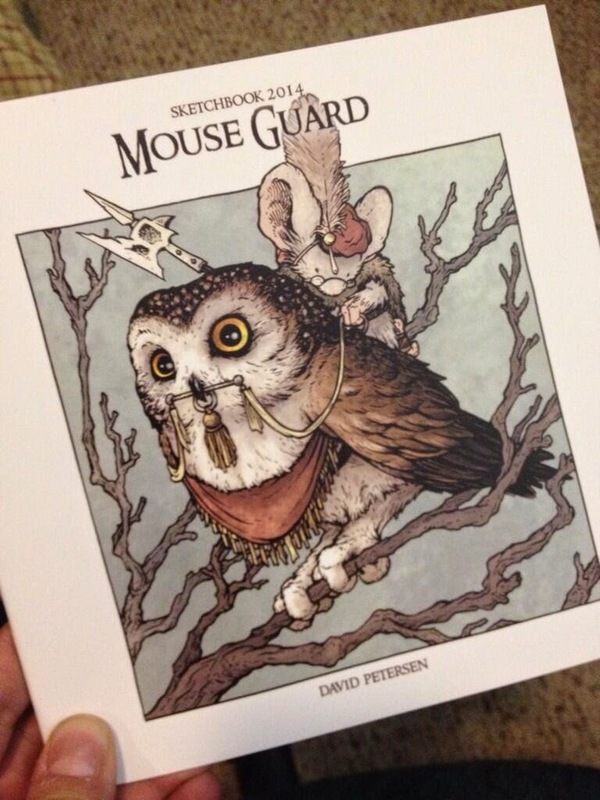 There I'll have Mouse Guard books, prints, bookplates, original art, and the 2014 Sketchbook (see below). Thursday 3-4 and Saturday 3-4. I'll be signing at my artist alley table too, but this is another chance to catch me at the center of the convention. I do not charge for my autograph. 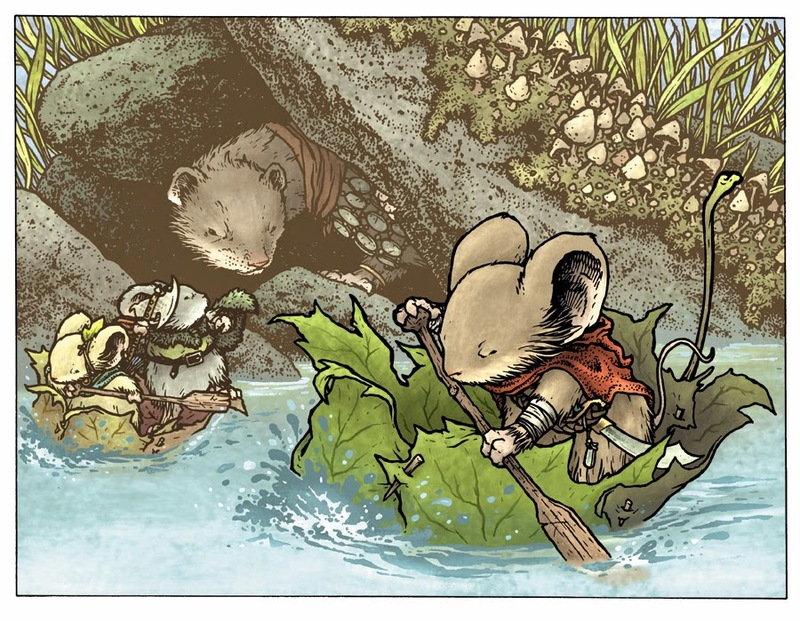 I'll sign anything with my work in/on it: Mouse Guard books/issues/games, TMNT issues, Muppet issues, etc. I'll also sign program guides. I'm already booked for commissions (I do them as pre-orders and then deliver them at the convention), so unless you were one of the few, I won't be able to do a commission for you. However, I do quick FREE mouse head sketches (on you paper or in your sketchbook) at my table if the line isn't too bad (and if it is, I suggest you swing back again later). Anything more involved than that (sketch covers, busts, etc.) will be handled on a per-person basis (availability, cost, and content TBD). I'll be on two panels this year. Announced last week, one of the projects we will talk about is the upcoming short story collection Baldwin the Brave and Other Tales, and to really celebrate the fans who come out to the panel, the live reading mentioned above will cover 3 of the 6 stories from the book! One of those stories will have not-yet been published anywhere and will make it's debut on screen as narrated by Meredith Salenger! 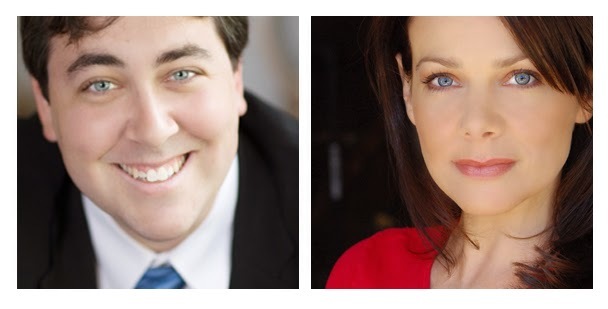 I'm very excited to have Hal & Meredith on the panel, both are very talented actors and voice performers and both are fans of Mouse Guard. The third reader is unsure of scheduling and may not be able to make it, so we are working out a contingency plan. I'll plan on having my hand-made prototype set of the game at my table if you are interested in seeing it or chatting about the game. In today's blogpost, I'll go through my process for creating the cover art. The concept of this cover was to make a curio shelf of objects relating to the stories within. The marionette of the title character "Baldwin the Brave" (FCBD 2012) needed to be a focus, but I also surrounded him with the items used by the Wise Weaver (FCBD 2011), the ship Thane used to cross to the Isle of Venn (FCBD 2013) and the cards Rand and his father play with before the Tale of the Axe Trio (FCBD 2014). I reused an inked promo drawing of Baldwin for the rough, and then sketched the other elements and composited them together in Photoshop. I made a printout of that composite piece and taped it to the back of a sheet of Strathmore 300 series Bristol. The inks were all done over a lightbox so I could use the printout as a guide to ink from. This piece was inked with Copic Multiliner pens (the 0.3 & 0.7 nibs) It was a bit of a trick getting texture and detail onto all of the items and the shelf and wall without losing some of those items in a field of grey. I tried to make sure there was enough in the inks to distinguish each item from one another, but also knew I could help the clarity when it came time to color. The inks were scanned and I started the coloring process by filling in large areas with flat color. This is the tedious part of coloring. You aren't making final color choices, or doing anything cool with lighting or shadows...nope flatting is just about establishing color zones. I had rough ideas of what colors to use because I'd drawn and colored all of these items in the Free Comic Book Day stories of years gone by, but ultimately, this piece needed to work as it's own piece which could mean altering these colors to give it it's own color scheme and harmony. Here is the final rendered color for the cover art. The highlights and shadows were all achieved using the dodge and burn tools in Photoshop. I added Baldwin's strings by placing a sheet of copy paper over the inks on the lighbox and inking in the lines for the strings of the copy paper. In photoshop I was able to take those isolated lines and make them white for the final composition. Back at the top of the post you can see the art in the context of the art & text for the coverwrap. 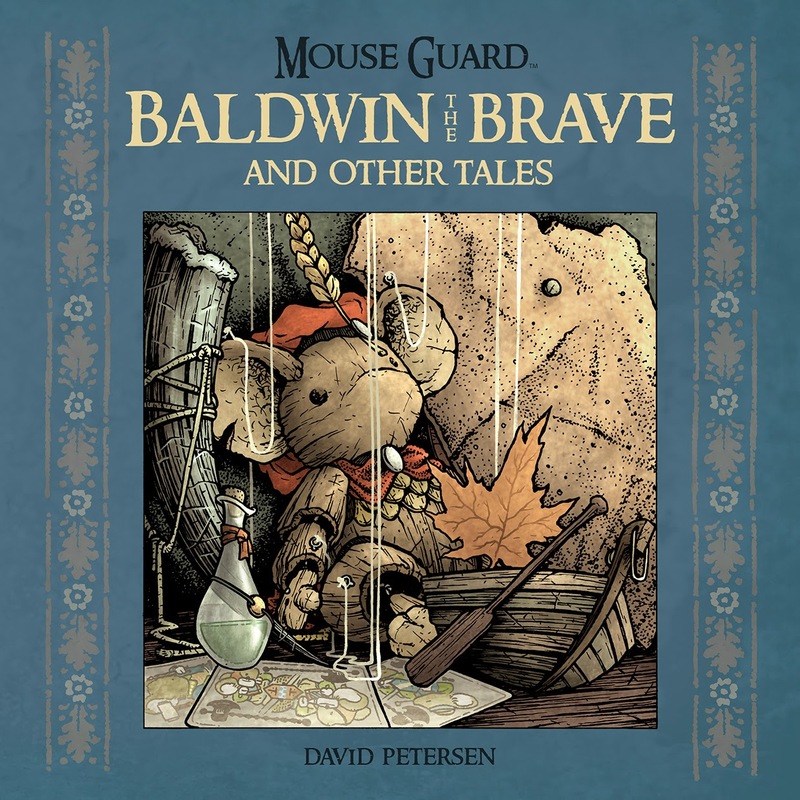 Baldwin the Brave and Other Tales will be a great way to catch one of the FCBD stories you missed, but even if you collected them all as they came out, will have fun new content for you as well. 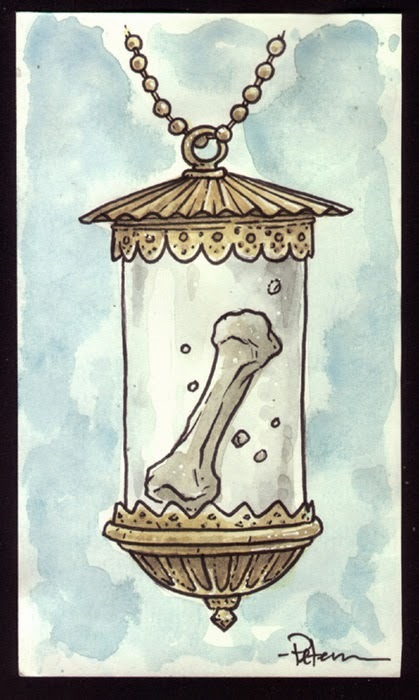 For today's blogpost, I'll be telling you a little about the game and running through the artwork I created for it. 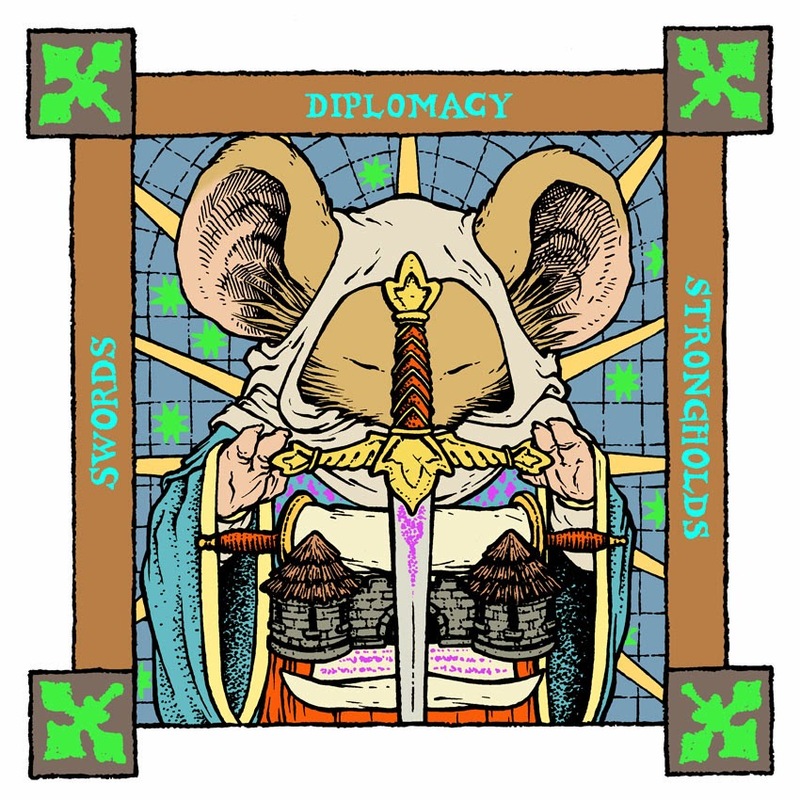 I'd made a model of the game (Swords, Diplomacy & Strongholds in the comics...but shortened to Swords & Strongholds for release) for my won needs to be able to draw it consistently and with the hopes of eventually making a ruleset for it. 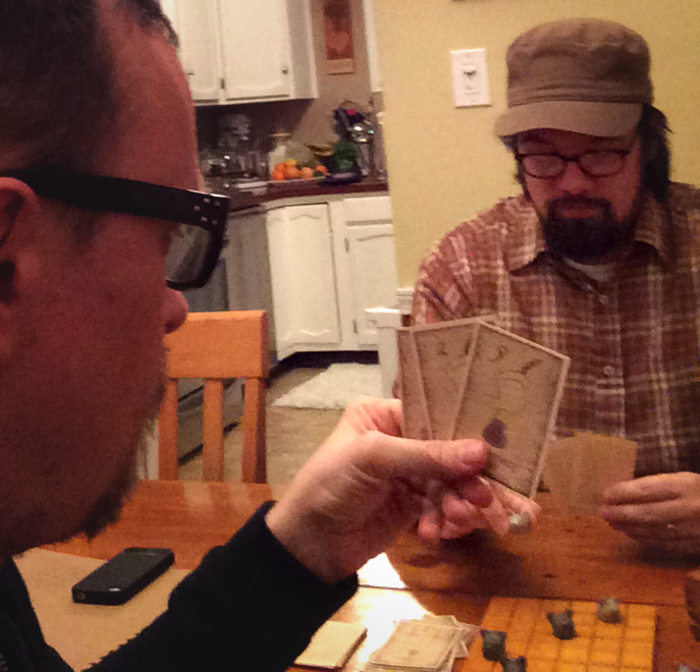 Well, Luke Crane (Burning Wheel, Mouse Guard RPG Torchbearer) and I sat down back in February and designed a playable game using my model prototype to playtest. 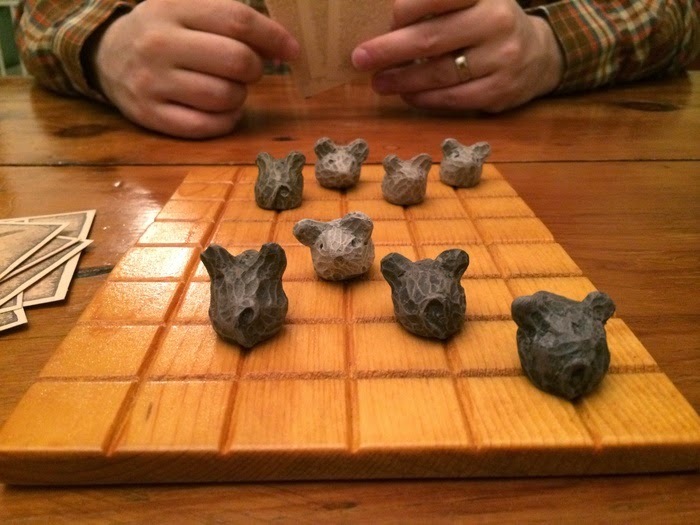 The game is played on a board with a grid. 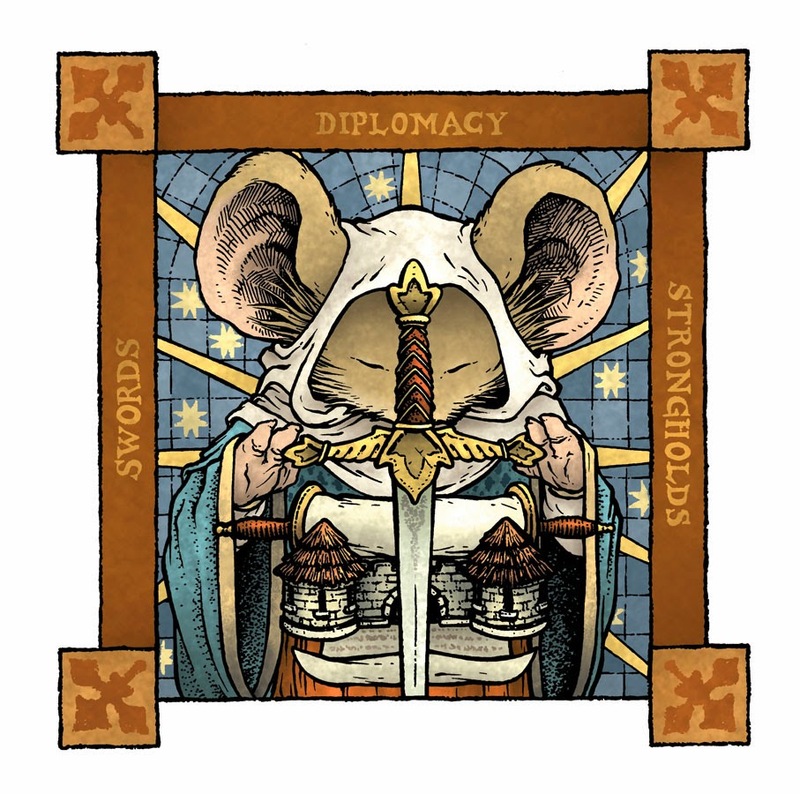 Mouse pawns reside on the grid intersections (mostly) and are moved in conjunction with cards: Swords, Diplomacy, and Strongholds. Each card allows the mouse you are moving an ability beyond it's normal movement. We came up with something that is a 2 player light strategy game that is pretty easy to learn and can scale in difficulty with the skill levels of the players. 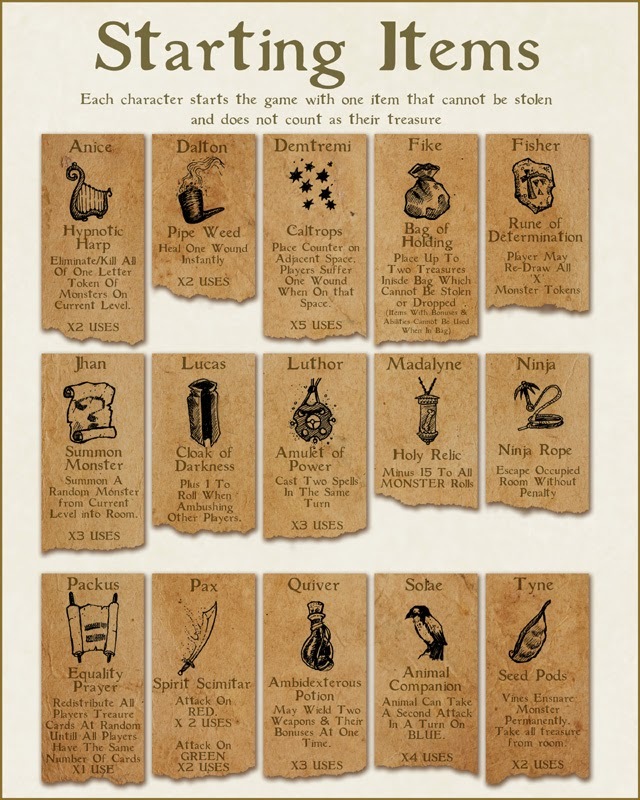 The Kickstarted set will will include a wooden board, eight plastic pawns, 30 cards in a sturdy tuck box or sleeve, and a rules sheet complete with example illustrations. The game will be contained in a cardboard two piece box with a full color wrap. 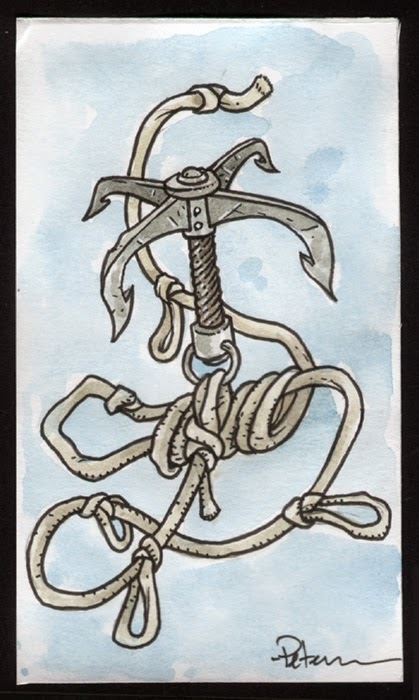 When creating the art for the 2014 Bookplate, I had this game on my mind. 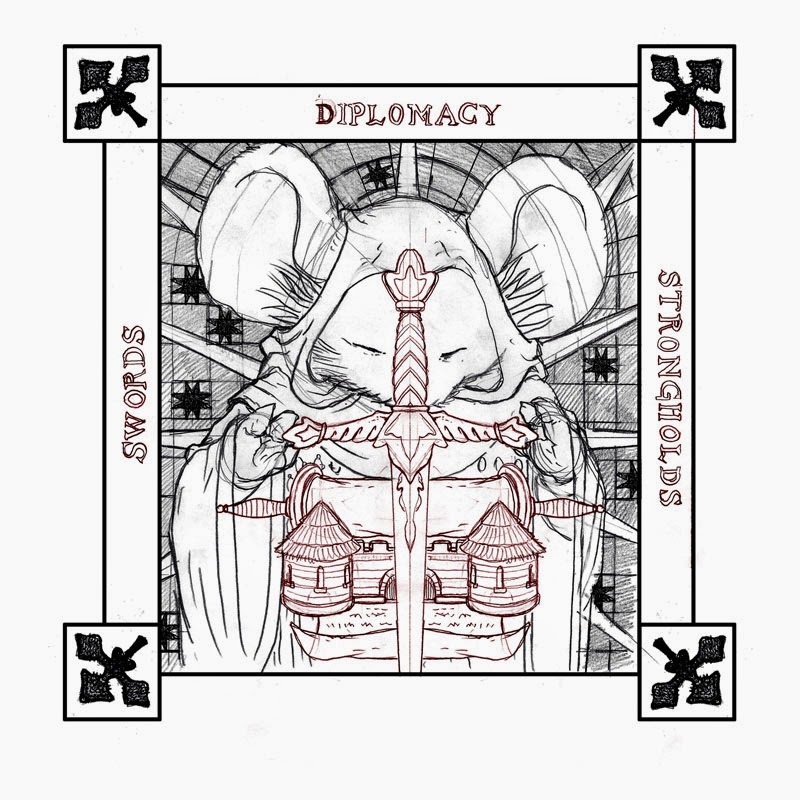 And I could think of no better art-image for the game, but I needed to create artwork that looked more like my traditional Mouse Guard artwork to adorn the box. 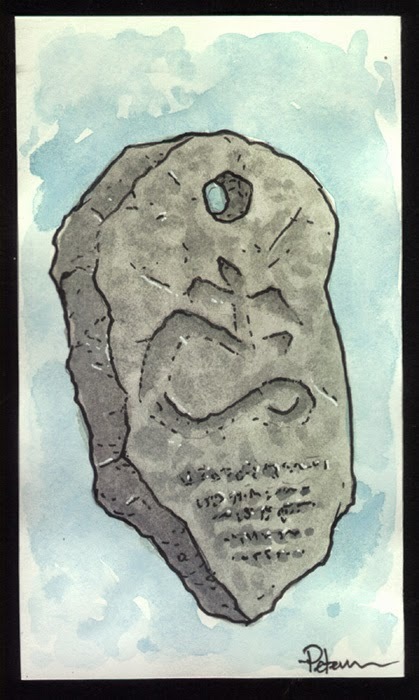 Using my rough of the bookplate art, I mocked up a tighter pencil version and added some decoration to the corners. This photoshop composite of my pencil sketches was then printed at full scale (8.5" x 8.5") on copy paper. I taped that copy paper printout of my roughs to the back of a sheet of Strathmore 300 series Bristol. On a lightbox, I can see the rough through the bristol surface to use as a guide to ink. 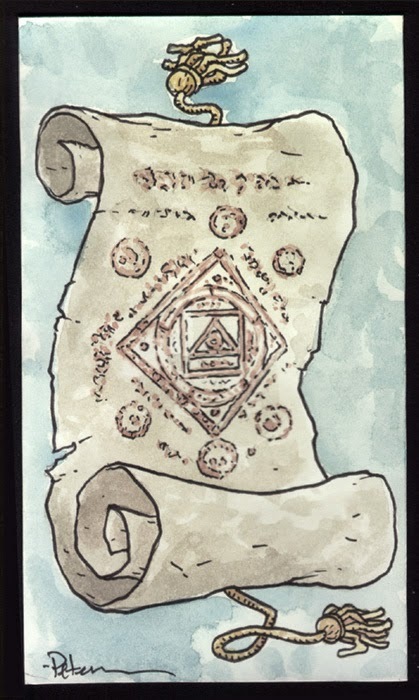 Unlike the 2014 Bookplate that was made to look like embroidery, I needed this piece to have my usual style of inking with textures, abbreviated, weathered, and distressed lines and text. 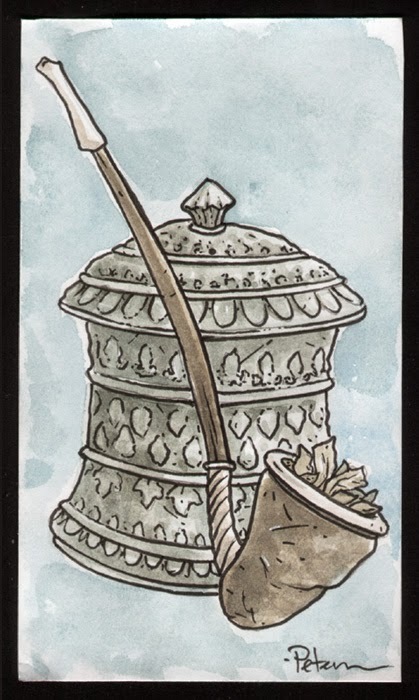 The Box will have title text on it beyond what is in the art, but I thought it important to show the balance of these 3 tenants by including the type. 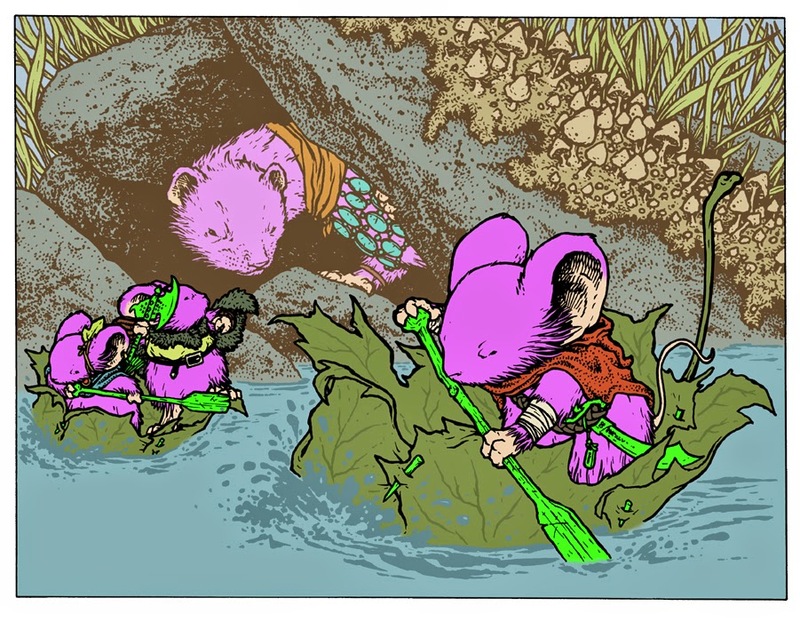 After the inks were done, I scanned those and in Photoshop started the coloring process with flatting the colors in. This stage is all about filling in large areas with flat (un-rendereed) colors. The color choices don't need to be final, it's more about making each shape of the drawing a different color to make it easier to isolate when it's time to pick final colors and do any rendering. I also established the color holds, or areas where I want my ink work be be a color instead of black. Here is another shot of the final cover art for the game box. The shading and highlights were all done with the dodge and burn tools in Photoshop while using a textured brush. The inks for this piece are available as a reward tier in the Kickstarter. 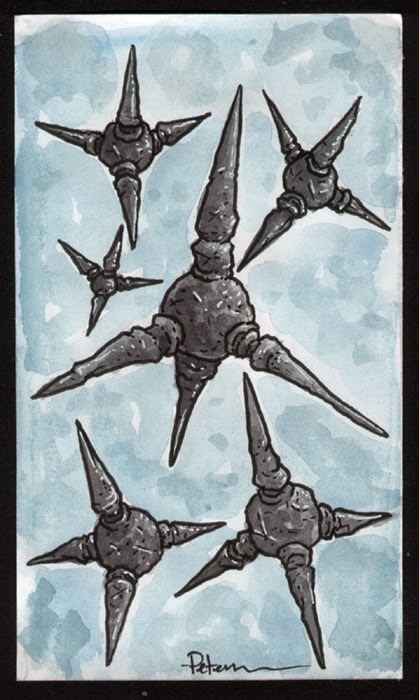 I had drawn card art for my prototype many years ago when I first made it (2009?) 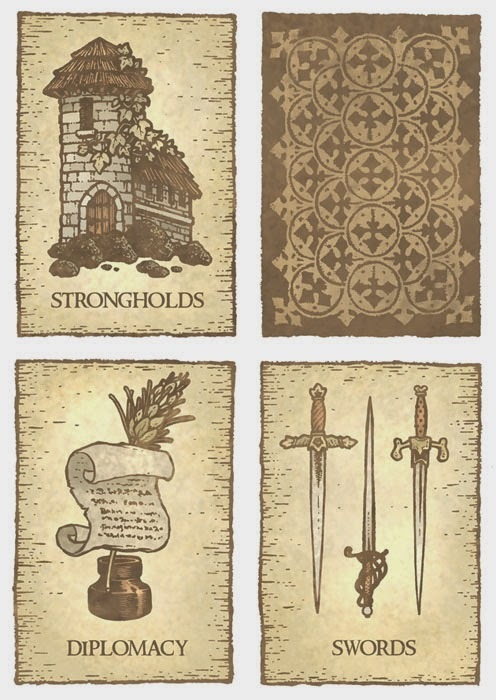 but felt that this cool of a release of Swords and Strongholds needed updated artwork. I kept the designs mostly the same, but made some artistic choices to tighten details or change proportions of roofs or scrolls or hilts. Below you can see the inked card art (along with the back of each card) And the color renderings that will be used for production. 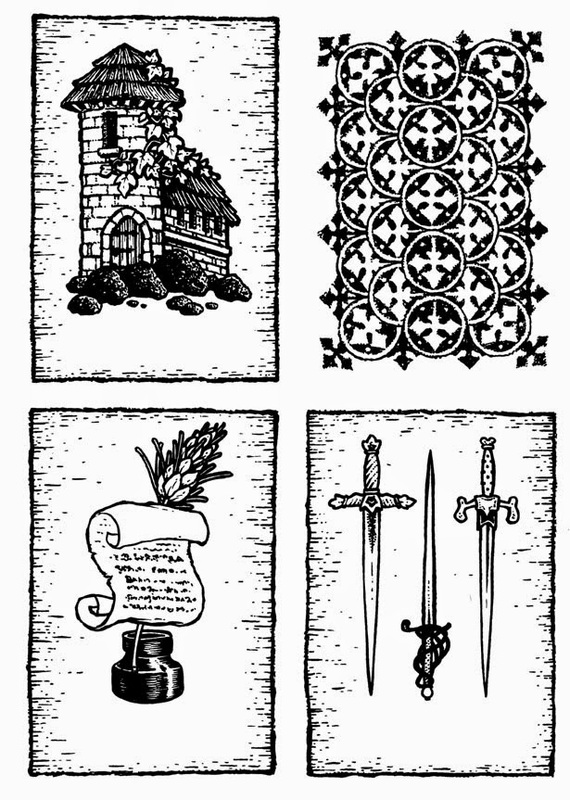 The 4 inked pieces of cart art are available as reward tiers in the Kickstarter. 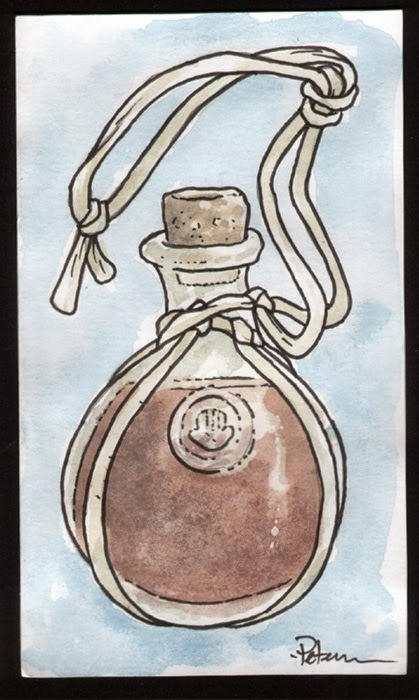 Quiver Dare, the Gnomish Acrobat gets this 3 use potion which allows him to use two weapons at once and gain all the benefits from each. Luthor Givem'ell needed a little something so as a Battle Mage he could have a more aggressive attack than the other magic users. This 3 use amulet allows him to cast two spells in the same turn. Solae Pathfinder, the Elven Ranger, starts the game with an animal companion who can take a weaker second attack for her after she fails to kill a monster. Her companion can only be used four times. 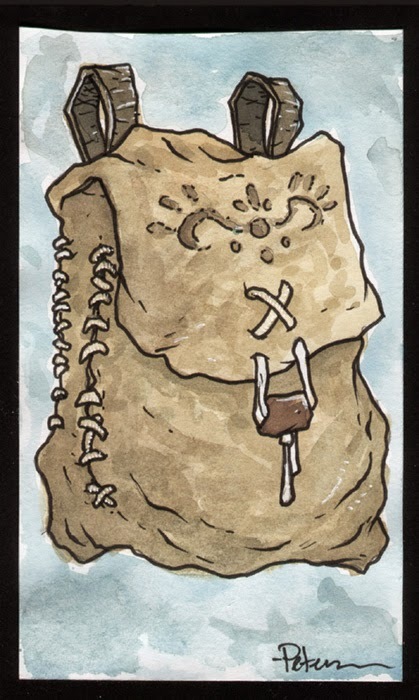 Fike the Mox, the human barbarian gets a useful item that allows him to store 2 items which can not be stolen by another player or dropped if attacked by a monster. 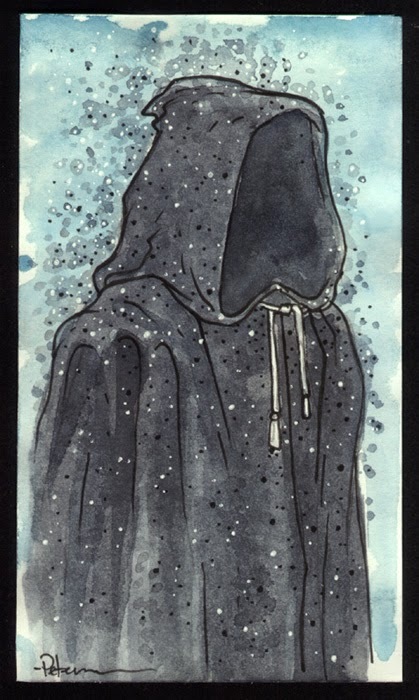 Lucas Taver, the Elven Thief needed something which made him better at stealing from other players than the other heroes, so he starts the game with a cloak that hides him more easily. This item of Packus Shortbeard, the Dwarven Cleric, has spawned many an argument at the Petersen gaming table. It's used to redistribute everyone's treasure amongst all the players, and not by gold amount, but by the count of cards. 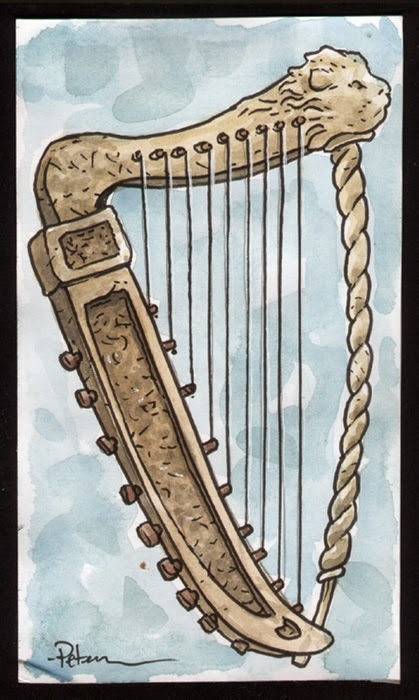 For Annice Quinn, the Human Bard, this starting item allows her twice per game to remove one type of monster from the game on her current board level. The monsters hear the tune and shuffle out of the Tower. Rien Draak, the Gnomish Ninja, gets an item which allows him to escape from a combat situation without any penalty hit from the monster. 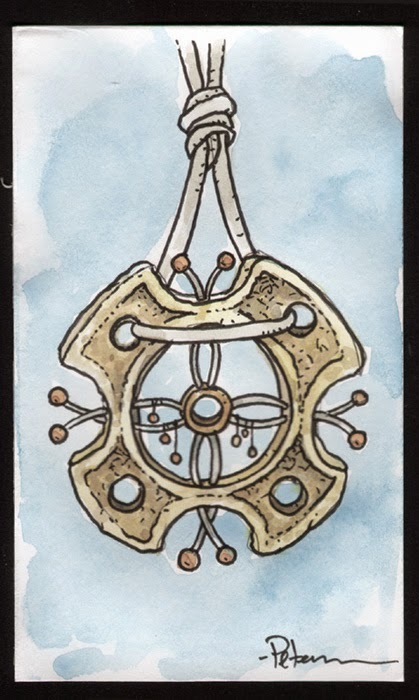 Dalton Mattock the Dwarven Armorer already has 3 wounds he can suffer before he dies (compared to everyone elses 2) but this starting item allows him to relax, heal, and gain back a wound twice per game. 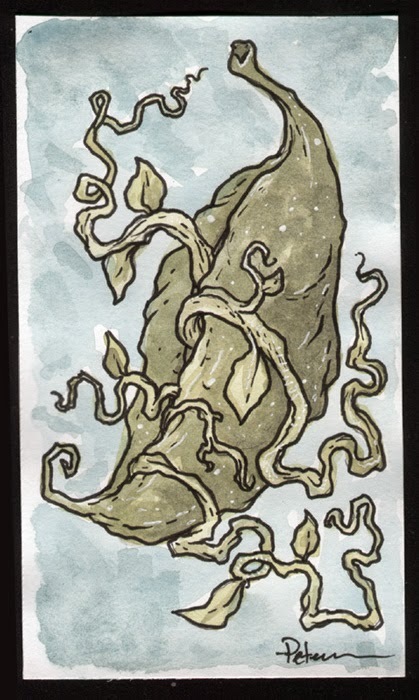 These 3 use pods explode into a massive snare of vines upon impact and tangle any monster in a room allowing Tyne Mossbrook to snag the treasure without ever having to enter combat. Pax Teahille, the Halfling Preist needed some offensive help, so she gets this spectral blade which has a few uses each at different combat levels. J'han Silverthatch, the Elven Mage, has the option to re-enter a cleared room and summon another monster from that level. It gives him a chance of gaining another useful treasure card. This was purely an exercise in enjoying revamping old artwork. I still have no firm plans to rework the rest of Tower or release it. But if ever I do, I'll have this current artwork to use or base new designs from.